The Guardian has attracted an impressive group of digital experts for the Changing Media Summit taking place tomorrow and on Wednesday at Kings Place. Since we are now beta-testing ByPlace Promotion for iOS apps, Exact Editions will be providing free access to the Dazed & Confused app and the Prospect ByPlace app, by kind permission of the publishers, in the environs of the Kings Place conference. If you are attending the Guardian’s superb conference or are near Kings Place in the next few days please do try this out. a courtesy pane will pop-up within the app from time to time reminding you of the sponsor of your free access. 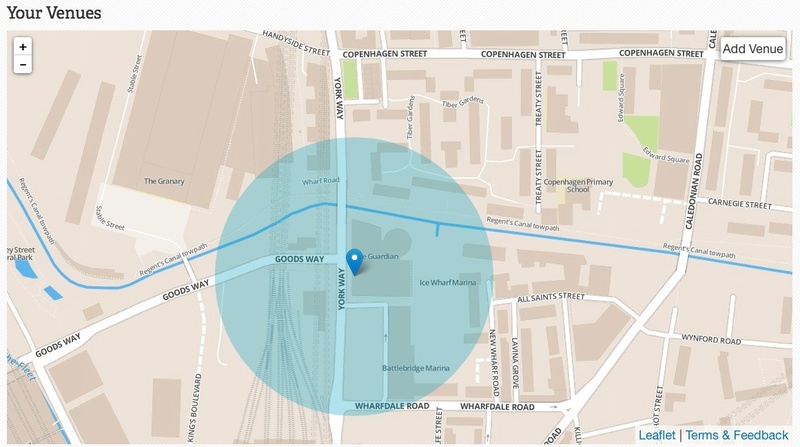 We would be grateful for any comments on the user experience from those attending the conference, or anyone nearby (the free zone spreads about 150m from its centre point as shown by the blue shadow on the map). Any observations or suggestions to support@exacteditions.com.